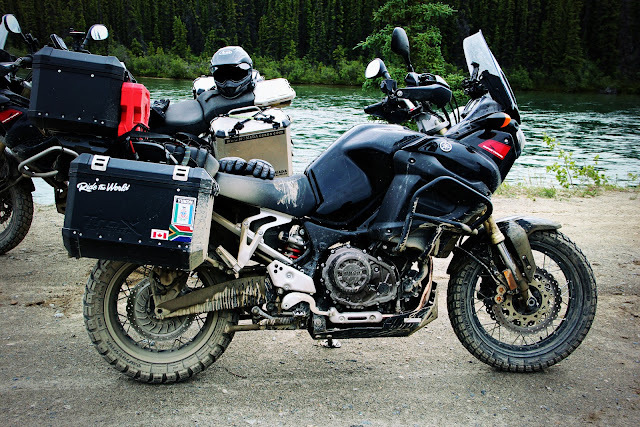 As we come to the end of 2012 and having survived the Mayan end of the world day, I want to wish all my readers and friends a Happy New Year and may 2013 bring all your wishes and even longer motorcycle adventures. 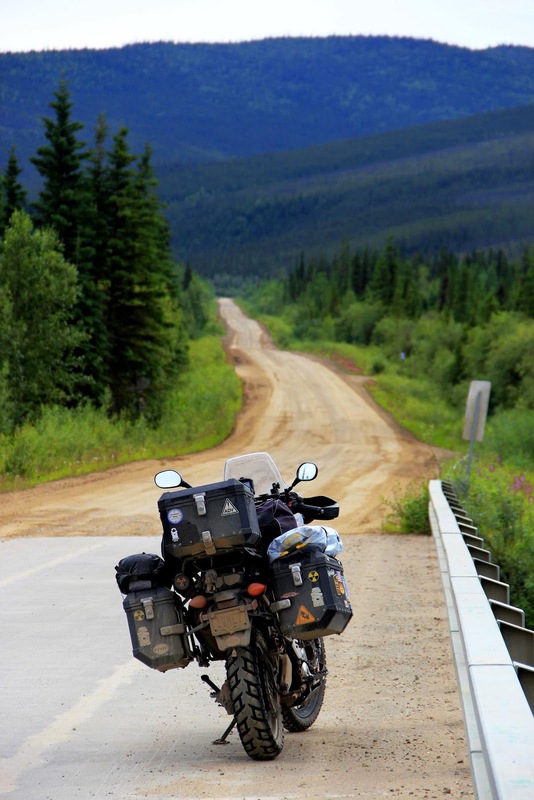 I also wish safe travels to all my friends on the road and may your return home be even better and more adventurous. For me 2012 was a significant year. I did what I had been dreaming for a long time, a 12,901 mile trip to Prudhoe Bay, Alaska with my new Yamaha Super Tenere. 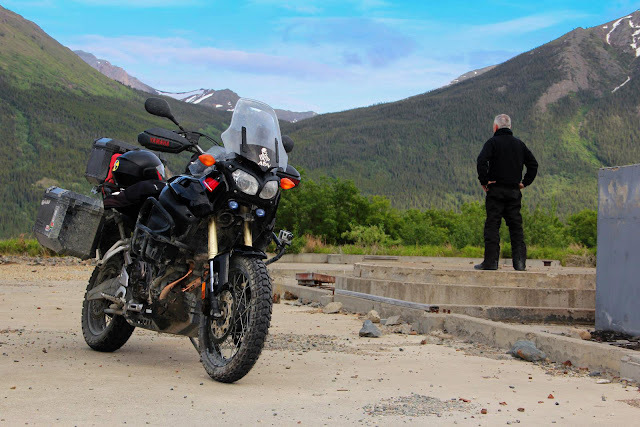 I met wonderful people along the way, saw amazing scenery, reached the top of the Alaska Oil Pipeline in Prudhoe Bay, aka Deadhorse, and then rode south to Valdez to the end of the pipeline. Rode through various National Parks in Canada and the USA, saw a few glaciers and countless wildlife. 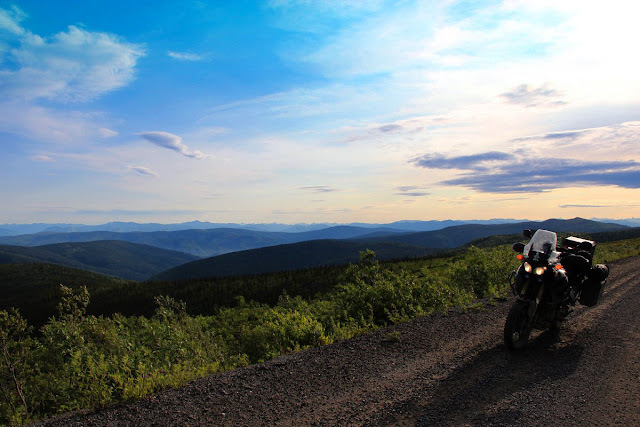 2012 also brought a major change in my life, after countless years in the IT field I started a photography company, ran it for almost a year and then started an IT job again, so now I have two jobs and a lot less time to ride. 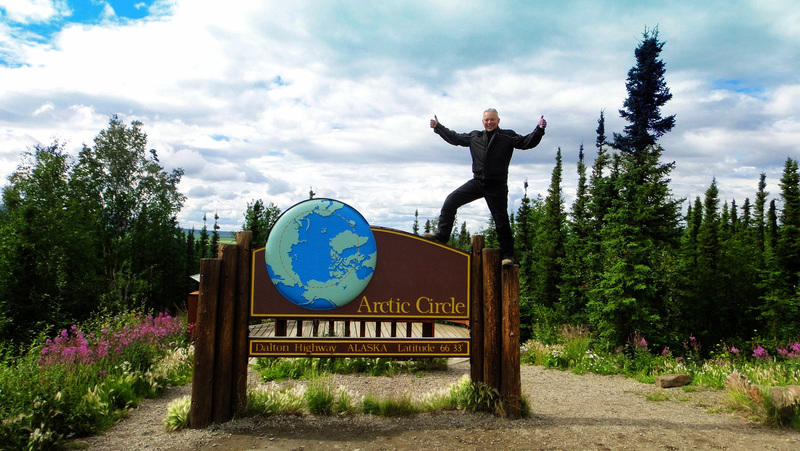 I have been slow blogging my trip to Alaska but I plan on completing the remaining days much faster in the new year. Completing the blog of my trip is one of my resolutions for 2013. I will end the year with some of the best pictures from the Alaska trip. 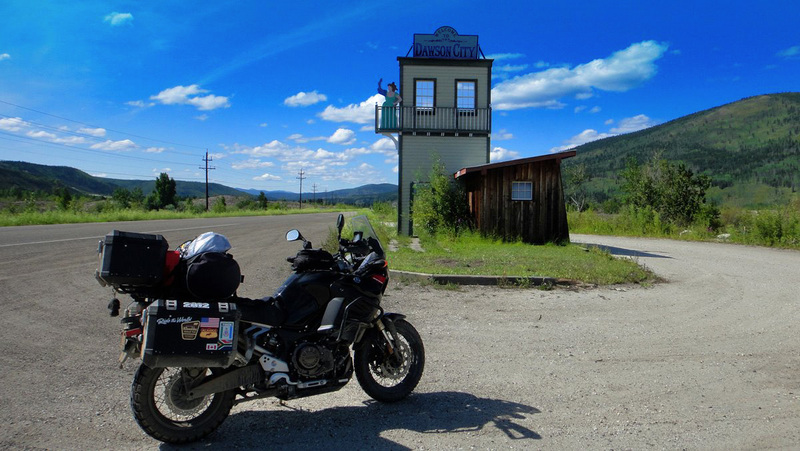 One of the "Welcome to Alaska" signs, this one is on "Top of the World Highway"
"Top of the World Highway"
276km (172 miles) riding on "Top of the World Highway"
This day was one of the best riding days of my trip, "Top of the World Highway"
What next? What will the future bring? Day 13 was going to be more of day 12 as far as the weather was concerned. Our plan was to meet at the Yukon Yamaha tent and then decide what to do for the day. It was raining when I got there, I take shelter inside the dealership and practice my knee dragging technique. Outside my bike was being washed by the rain, it needed a wash badly but by the end of the day it was going to be much dirtier. 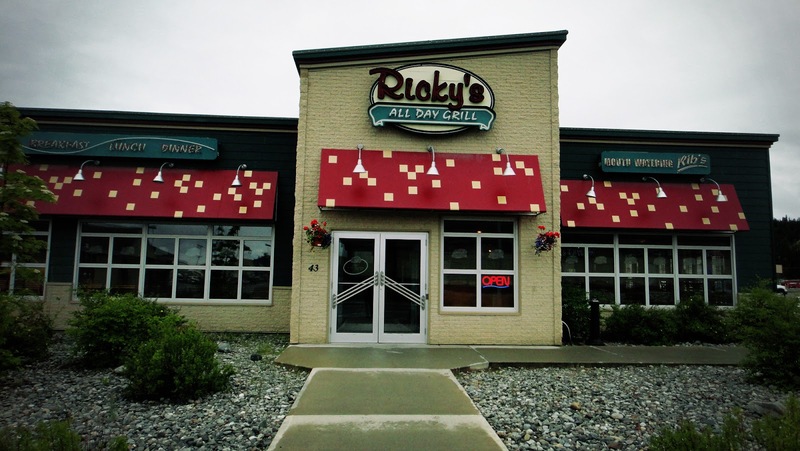 As soon as the rain stopped, a few of us left and headed downtown to Whitehorse settling down for breakfast at the Ricky's All Day Grill. A fine restaurant, food was great and the waitresses were friendly. 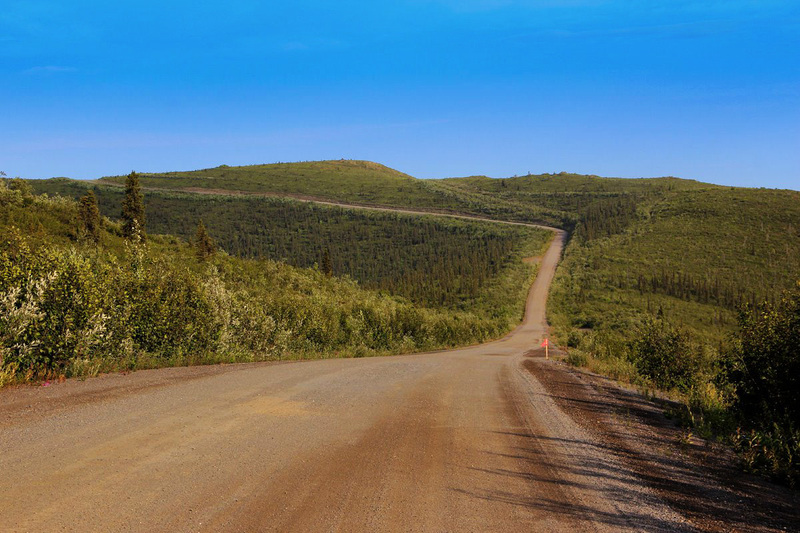 During breakfast, one of the local guys mentioned the Takhini River and the dirt road alongside it. Someone said it would be a fun road specially with the rain that had fallen down, it was certainly going to be a nice playground for the five of us that took the challenge. 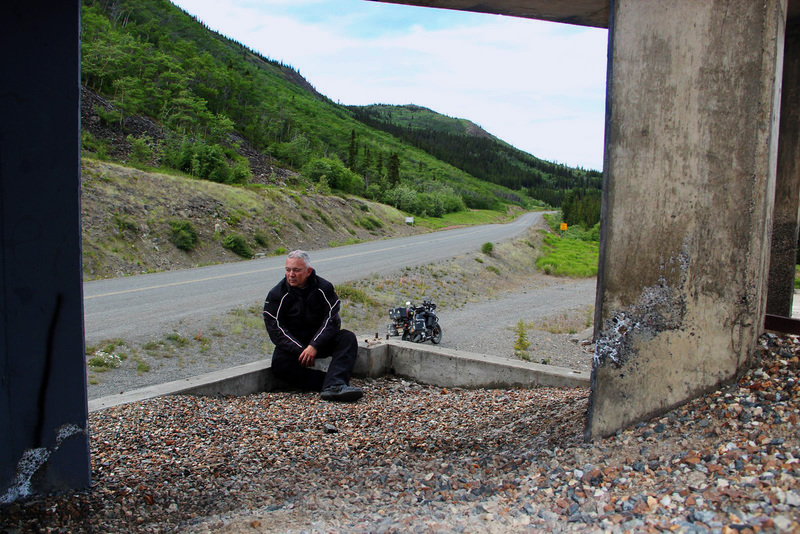 Five of us left Whitehorse and headed north along the Alaska Highway for about 65Km (40 miles) and then took a left at Mendenhall Landing. We pass the sign and follow the river for about another 30km before taking a break. The gravel was still wet and a little slippery but we are all experienced bikers and are able to do good time. 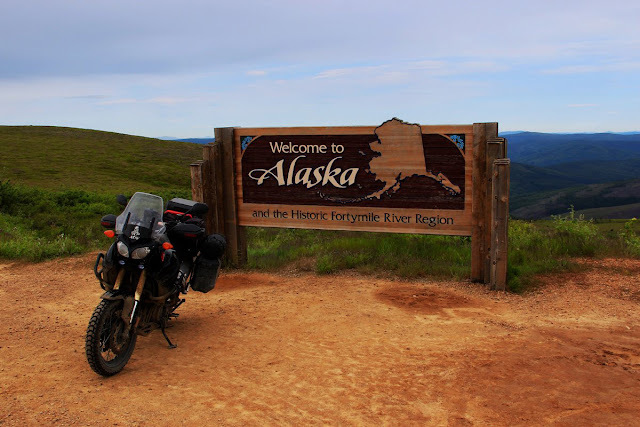 If you are a person that maintains a motorcycle spotless and worry about the chrome, don't bother going to Alaska, dirt will get into places that you will never be able to get it out. 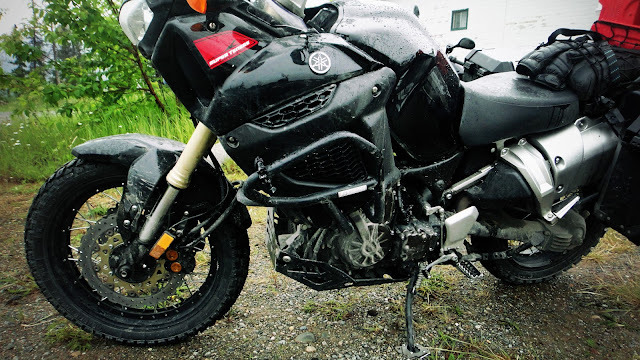 I bought my Super Tenere with the intention of making a trip to Alaska and knew it was going to get dirty but now I cringe every time I look at it, I know eventually I will have to clean it. 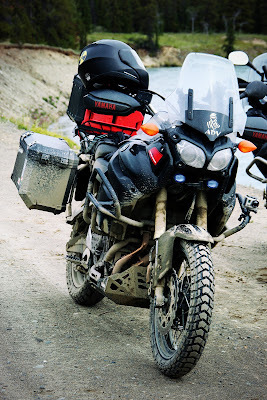 We chat for a while and then one of the guys and I decide to have fun playing in the mud, a little too much fun as you will see when I post a video. The single track of a spinning tire heading straight for the boulders is mine, I made it out okay, the bottom of the pit was loose sand and made for an interesting exit. In the photo the pit doesn't appear deep but the bottom was about 10 feet below the road. Here's my friend Paul taking a photo of me taking a photo of him. You can see the pit on the left of the picture and the river about 15 feet down on the right side. We continue following the river until the end of the road where we find a little campsite and a boat ramp. Time for the group shot, we all turn our baseball caps backwards to show the Yukon Yamaha logo, the hats were part of a free gift package given to all of us by the Yukon Yamaha guys. Someone said my bike was dirty and I should wash it or maybe it was a challenge to see who would get the bike in the water then another suggests I should spin the rear tire and leave a rooster as I come out of the lake, one way or another I'm always ready to accept a challenge and so it was, I back my bike into the lake until water is going over the top of my boots and the rear tire is deep in the water. 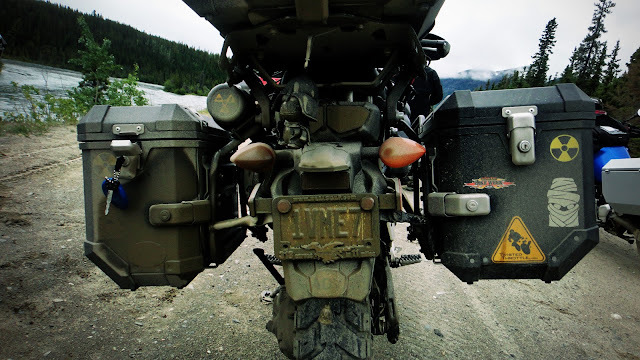 One problem though, no one mentioned that my keys were hanging from one of the panniers, the one on the back. In the haste I had backed the bike and completely forgotten about the key. I had to put the bike on the kickstand, step out and walk to the back to get the keys out, oh well, what's a little water in my boots. 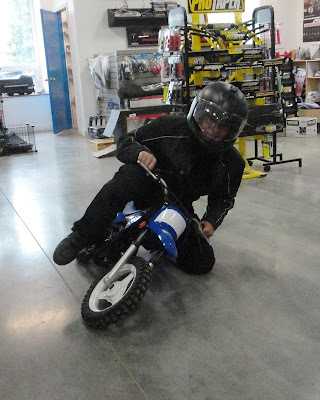 You can see by my face I was having fun and so were the guys when they saw me dismount to go get the keys. Luckily there was a cement slab and I was able to support the bike on the kick stand otherwise it could have been a problem. I couldn't really leave a big rooster behind as the rest of the bikes were parked right in front of me as you will see on my next video. Here I am emptying my boots of all the water. 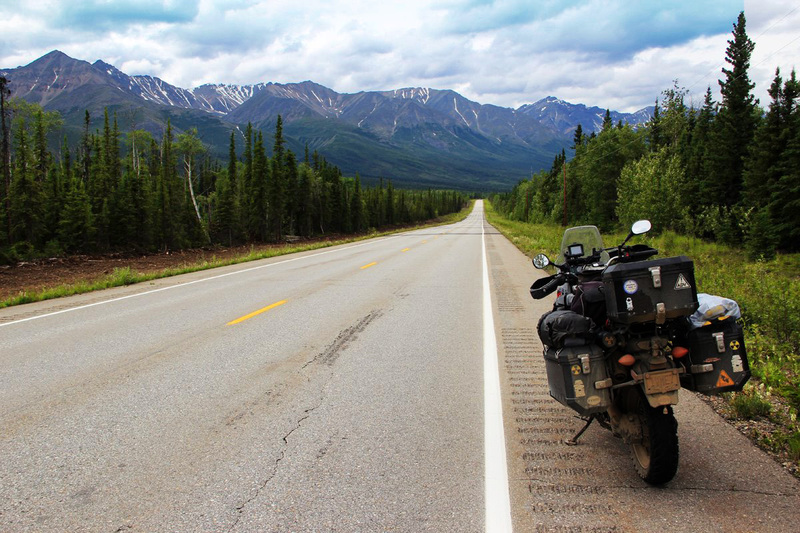 We get back on the road and return to the Alaska Highway riding in a very spirited way. We arrive at the junction and after a little discussion the other four guys decide to continue north to Haines Junction. 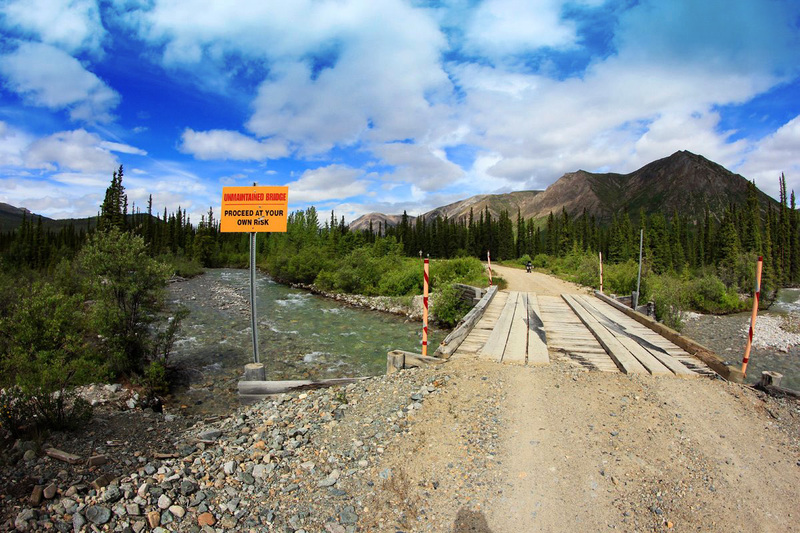 I knew I would have to go through Haines Junction on my way north in a couple of days, I decide to go back down the same road and take a few pictures before returning to Whitehorse. I pull out my tripod and pose for a few self shots. I needed a background picture for my computer desktop. 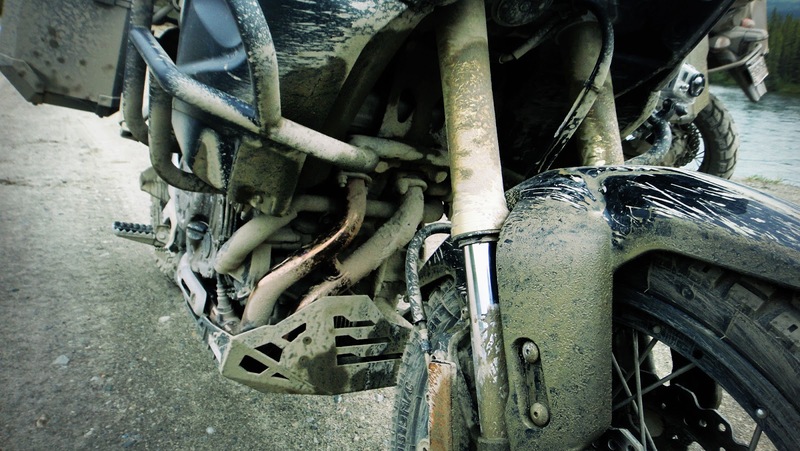 And of course one of the bike to show how dirty it is. I ride back about 10 miles and find a clearing to take a few pictures of the Takhini River. It dawned on me I hadn't seen a car on this road all day and now I was about to go off the road about hundred yards, if I crashed or broke down I would be in trouble. 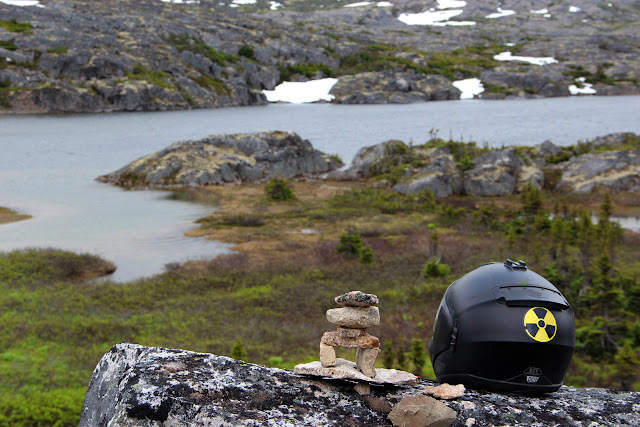 I pull out the kickstand, find a rock to sit and lean back against the bike relaxing and taking in the beautiful view of the slow moving river. I sat there thinking about where I was, 4000 miles away from my family, all alone, not another soul in sight, doing what I had dreamed about for a long time. I was having the time of my life. 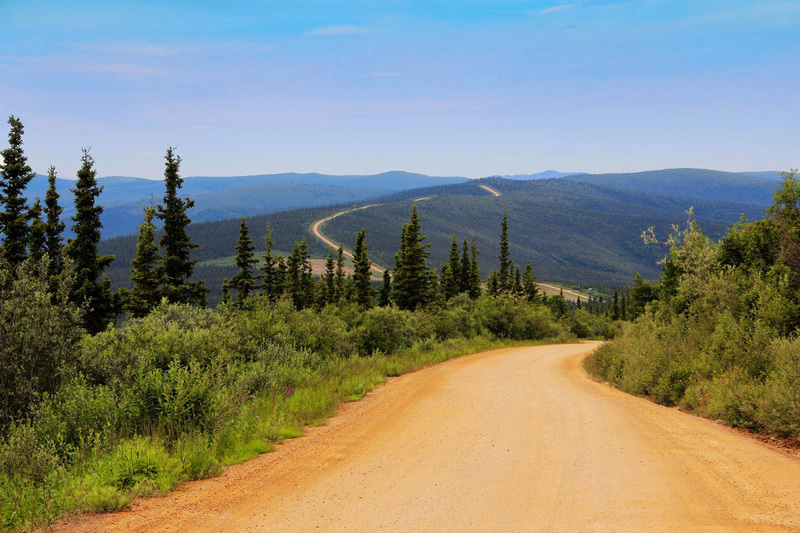 I return back to the Alaska Highway and head towards Whitehorse, not a single car on this amazing road. I stop a few times just to take the scenery in, the absence of noise is truly amazing, the moment you turn the engine off it's complete silence except for the crackling of the exhaust from the heat as the metal quickly cools down in the cold Yukon air. A few more miles and I stop again, this time to eat a snack bar I had in my trunk. It had dawned on me it was already mid afternoon and I hadn't eaten anything. As I open the trunk I take a look at Darth Vader and notice he's in need of a good shower. He's keeping an eye on the road behind me. I arrive back in Whitehorse and stop at the airport, right next to the Alaska Highway, where I had seen a few interesting things on the way out. Not exactly sure why the Mammoths, maybe they found a few in this area. Nearby was a famous plane, a Douglas DC-3, also known as the Model T of the skies. I have always loved planes and wanted to be a pilot when I was a kid. My dad was an aircraft mechanic and I remember being at the airport and seeing these beautiful planes taking off, their radial piston roaring into the sky. A rusty and old train engine, not sure what this little thing could be used for. Nearby is an old Overland Train, a beast that could travel over any terrain. 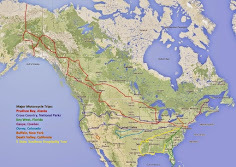 These trains were used by the US and Canada during the development of the DEW line and could haul 150 tons, cross rivers up to 4 feet (1.2 m) deep, cut through snow drifts and operate at temperatures as low as -68 degrees F. I'm sure this beast could go over my bike with one of its tires and wouldn't even slow it down. All these are part of a Transportation Museum but it was late in the afternoon and the museum was already closed. With nothing else to do I return to the motel and make my own dinner, a big can of soup and crackers followed by a cup of fruit and a cup of hot coffee. 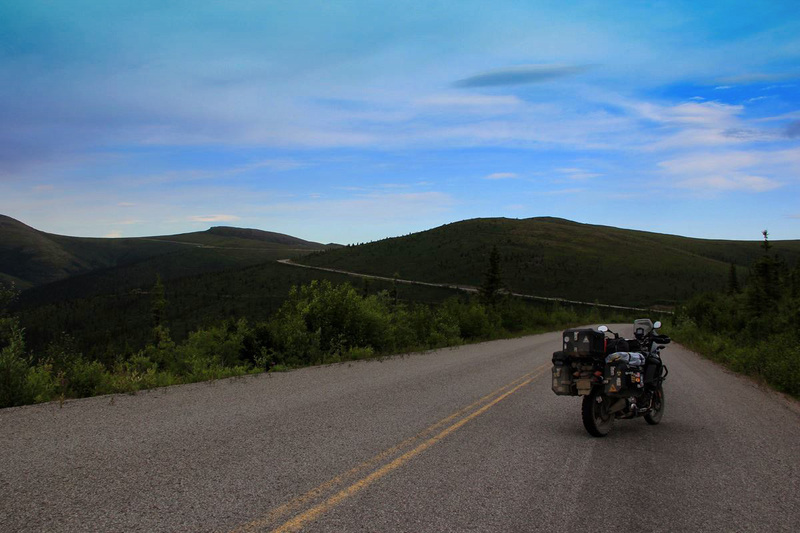 For tomorrow the group has a planned ride to Skagway, Alaska, to celebrate the 4th of July in US territory. We will have to cross the border, gotta make sure I don't forget my passport.